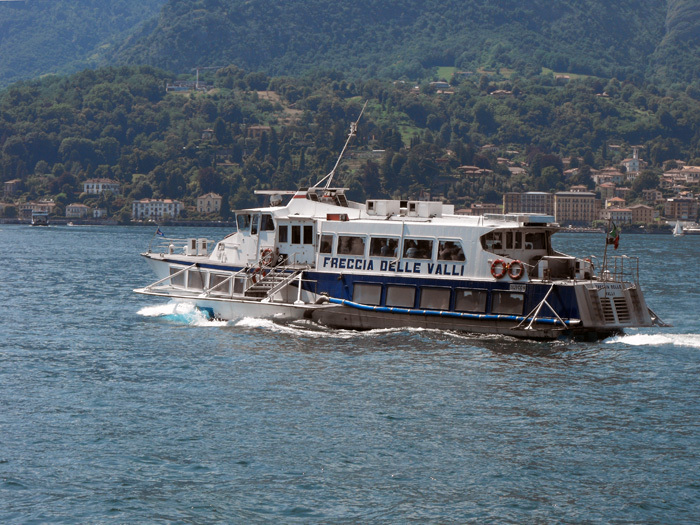 July 29, 1826 from the Olmo beach, in Borgo Vico di Como, at 18:00, the Lario steamship was launched, equipped with a double-action 12-horsepower Foulton Watt steam engine, with a wooden hull and paddlewheel. 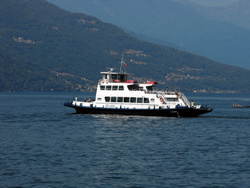 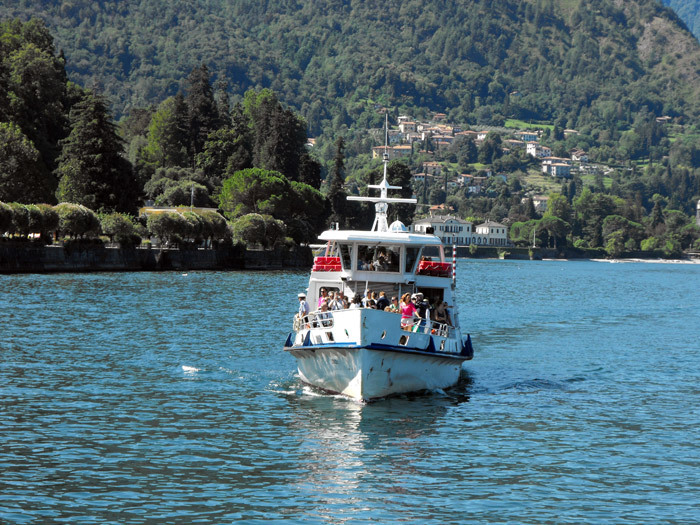 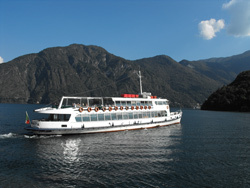 On August 16, after three test runs, the Lario began its daily runs of the Como - Domaso route. 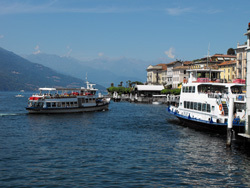 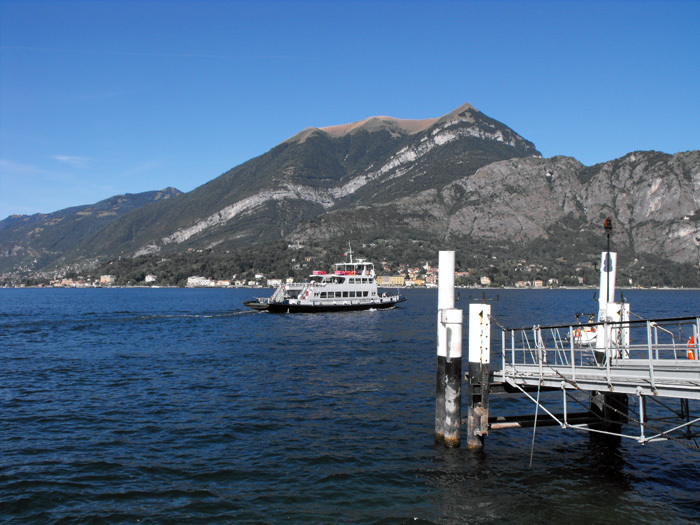 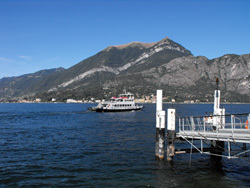 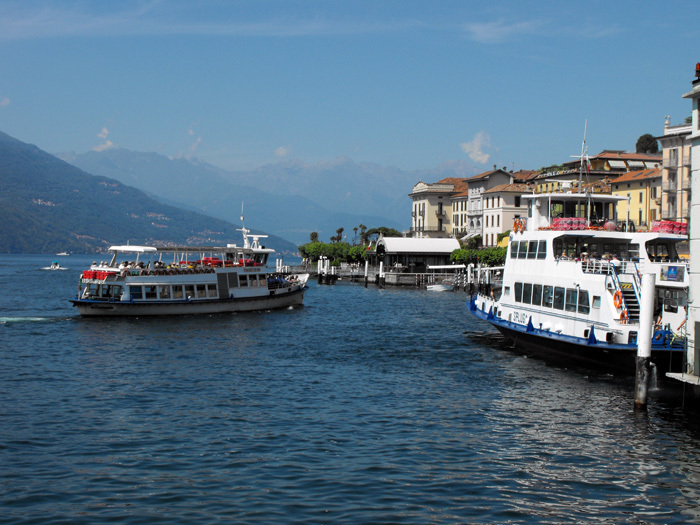 At 17:00 on September 9, 1826, the second boat, the Plinio, was launched which would begin its service of the Lecco - Domaso route on November 1; beyond the tip of Bellagio, the Lario and Plinio met to transfer passengers by means of walkways. 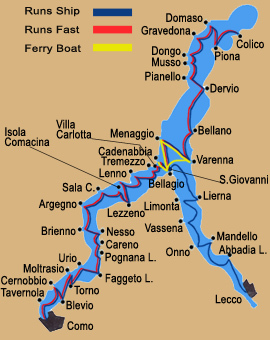 In 1835 the steamboat Otello, which to that point had been used for river transports along the Po River, was transferred to lake Como, upon the initiative of its owner, Duke Carlo Visconti di Modrone. 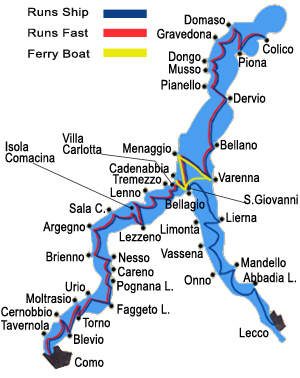 On April 21, 1846, after a period of strong competition between the two companies managing the Lake Como’s navigation, the Società Lariana di navigazione a vapore (Larian Steamboat Navigation Company) was established, with Count Giovanni Pietro Porro as President. In 1851, after the First World War, this company launched the Adda, with a 32 horsepower engine. 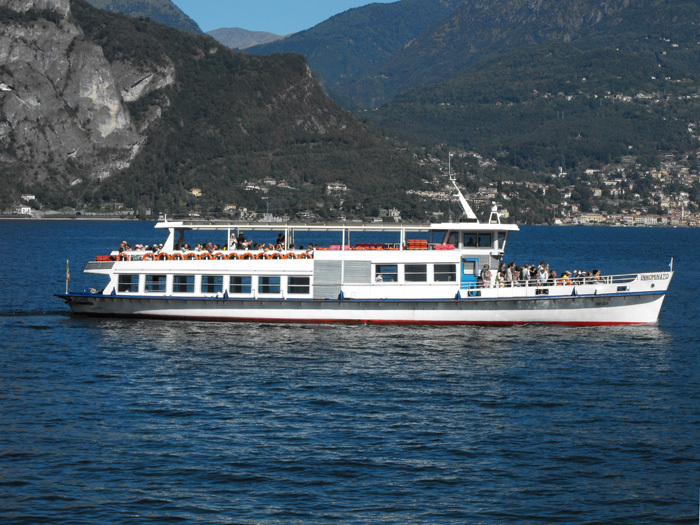 On August 31, 1865 the steamboat Italia began its service with a 300 horsepower engine, built in Zurich; the Falco and the Veloce were retired that same year. 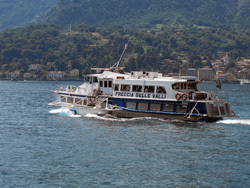 In 1872 two iron-hulled, paddlewheel boats were launched: the Lariano and the Volta – both with 400 horsepower engines; then the Lombardia in 1873. 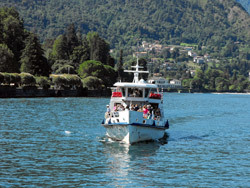 In 1890, after a time of arguing between companies for control of the lake’s navigation, the fleet of the new Lariana was comprised of 14 steamboats and one tugboat. 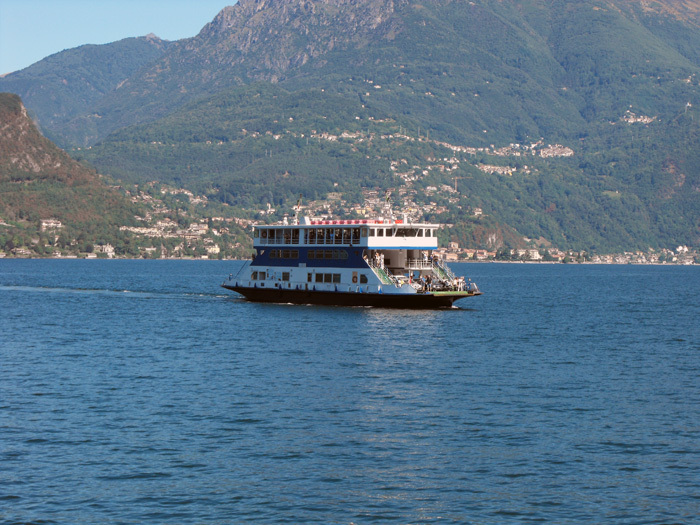 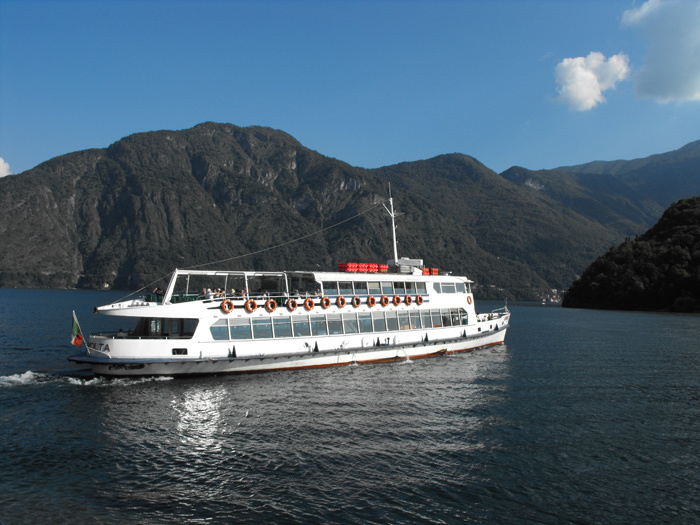 They were beautiful steamboats, with elegant lounges and restaurant service, and they were fast; numerous daily courses entwined along the lake between the railway stations of Como, Lecco, Menaggio and Colico.